We should look to exploit this . Dead balls. Kevin Brown and Luke Atherton push forward. 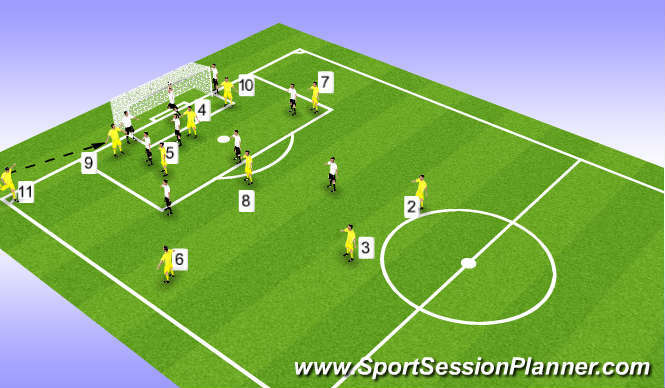 Rather than look to play flicks on they nod the ball back into the path of either 6 or 8, who press forward to get shots off. 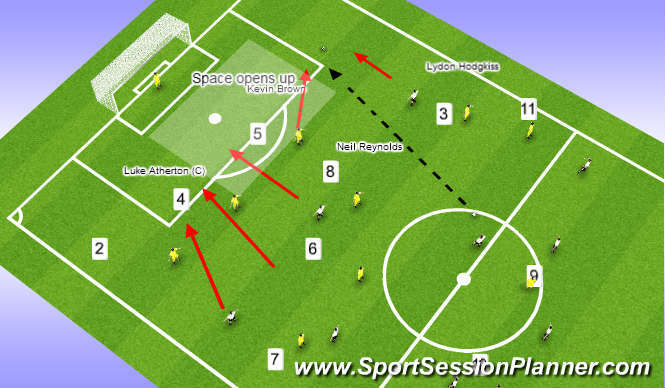 Corners were generally knocked into near post area so either 9 or 10 flicked ball on for 4 or 5 to cause trouble.